It’s time for another "how to" guide, this time looking at how you can start using iTunes from scratch. 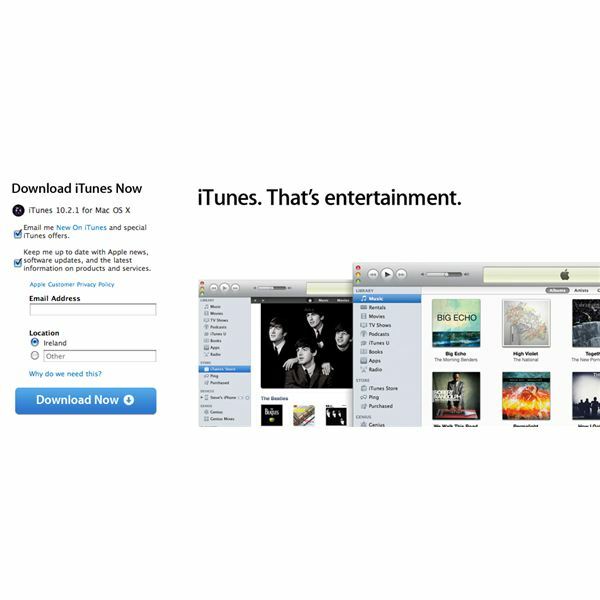 This article will guide you through the process of downloading iTunes, set up a new account on the iTunes Store and than we will have a look at how to look for and how to download music from the store. I think this is enough as introduction, so let’s get started. On the left side of this page you will see a big blue button, clicking on in after having inserted your email address will start the download process. When the download is finished, simply double click on the package, follow the instructions on screen and you are done. To download content from the iTunes Store you will need a new Apple ID. On the left of the iTunes navigation bar look for the label “iTunes Store” and click on it. You will be brought to the home page of the store. On the top right corner of the page you will a “Sign In” button. If you already have an Apple ID, simply input your data there and you will be ready to go. Otherwise, click on “Create new account” to get the chance to setup a new user. Simply follow the instructions on screen, providing all the details that iTunes will ask to you, and when you will finish, you will be ready to start downloading great contents. Now that you have an Apple ID we can start looking for some contents to download. You would have noticed that on top of every page on the store, there is a black navigation bar from within you can access every section of the store. The sections available are Music, Movies, TV Shows, AppStore, Podcasts, Audiobooks, iTunes U and Ping. To search music, just put your mouse on the “Music” label. Doing this will highlight a white arrow on the right of the label. Click on it to reveal all the different category and genres of music available on the store. As you can see the choice is wide and you certainly find what you are looking for. If you already know what you want, you can use the search field on the top right corner of iTunes, to directly to the content you want to download. You can either search for the name of the Artist of for the title of a Song. The result of the search will give you on top the most popular albums and immediately after the list of the most popular songs for that artist. You can have a look at the result for my research in the picture below. As you can see you can either buy complete albums or you can chose to buy single songs. If you buy an entire album you will get a significantly discount if compared to the price of the physical CD of the same album. Once you have found your music, downloading it will be really easy. Click on the album art, to be brought on the dedicated page of that album. 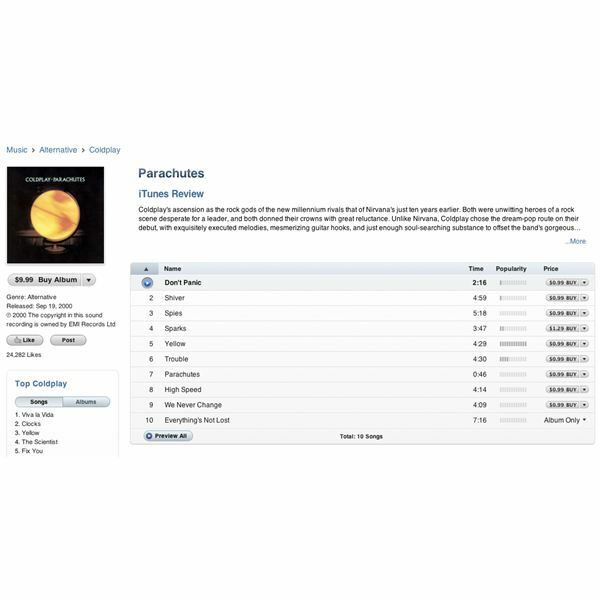 Here you will get the complete track list so you can decide to buy the entire album or just one song. To buy the entire album click on the button below the cover art. iTunes will ask you again for your Apple ID and password to check that you really want to commit to buy this product. 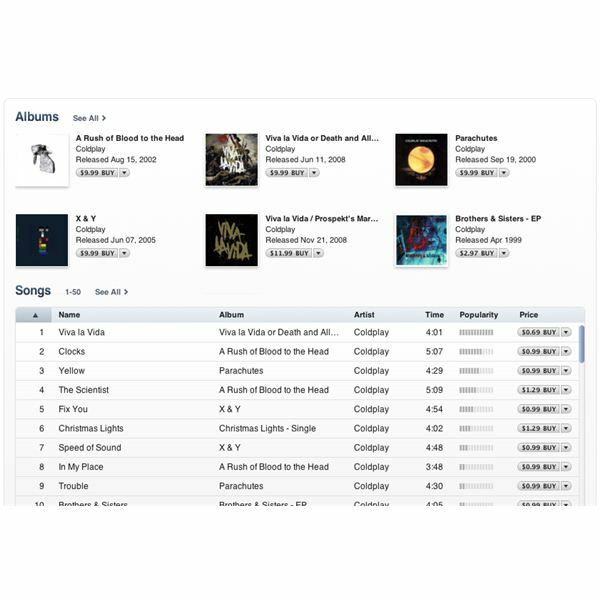 When you click on buy, your purchase will start to download right on your iTunes library. Within few minutes, depending on your network, you will be able to enjoy your music. 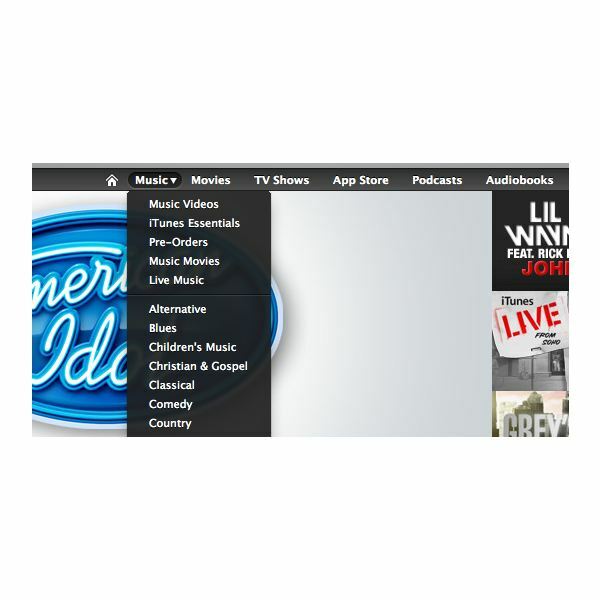 The iTunes Store offers a wide choice of contents you can chose from, and download them is really simple. You can do more or less the same actions described above, just chose a different section of the store to explore. The overview of the store is similar across the different sections, so it won’t be difficult for you to apply this guide on the Movie or TV Shows section. If you need more assistance, please feel free to leave a comment below. All screenshots taken by the author.